Until this spring, the First Circuit had not decided many major student discipline cases in over thirty years. In June, the Court handed down its long-awaited decision in Doe. v. Trustees of Boston College. The case concerns an alleged sexual assault that took place on a dance floor in 2012. 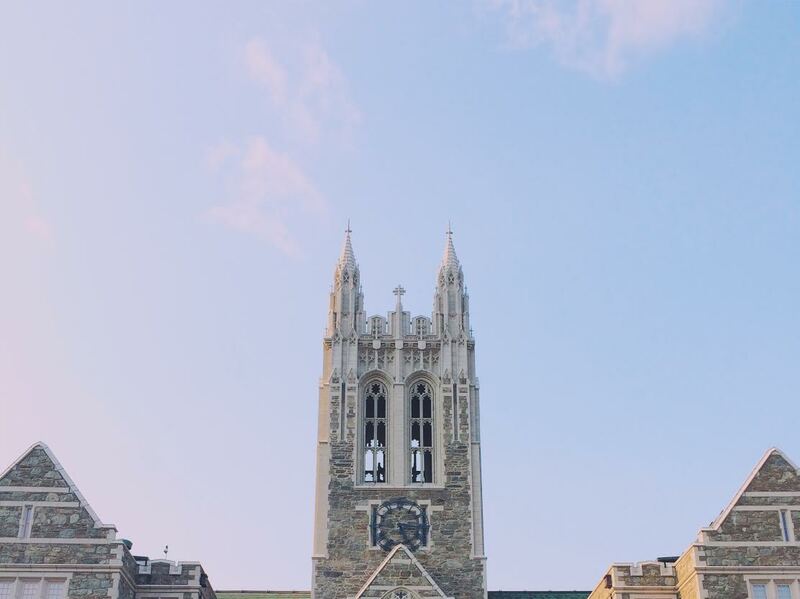 A female student – “A.B” – was assaulted at a party on a boat sponsored by a Boston College student organization; she felt someone put fingers up her skirt and touch her without her consent. She identified Doe as the assailant. But Doe denied the charges – and eventually presented video evidence that suggested another student – J.K. – had committed the act. Indeed, the video was so convincing that the Middlesex County District Attorney dropped the criminal charges against Doe. Yet, after a series of procedural irregularities, a Boston College disciplinary panel found Doe responsible for the assault and he was suspended from the college. Two years later, the school agreed to review the case after his parents asked the President to look into it, but ultimately declined to change its conclusion. Doe and his parents sued. The First Circuit held that the student had come up with enough evidence to put a case in front of a jury on three of his claims – two claims that Boston College breached its contract with him, and a claim that the College violated the duty of good faith and fair dealing that underlies every contract. The Court rejected many of the students’ other claims, including those made under Title IX. But the outcome remains largely positive for students who turn to courts looking to right wrongs they feel they suffered when their schools disciplined them: this student will have an opportunity to take his case to trial. Much of the First Circuit’s decision will be limited to the facts of Doe’s case and the particular language of Boston College’s disciplinary policies. But three aspects of the court’s decision have broader implications for school discipline litigation. First, the court allowed two of Doe’s breach of contract claims to proceed. Under Massachusetts law, a student and school share a “contractual relationship” that arises out of a school’s written policies and procedures. The First Circuit acknowledged those court precedents and explained that it would “review the procedures followed” by a university to see if they fell “within the range of reasonable expectations of [a student] reading the relevant rules” established by the school. Here, Doe presented sufficient evidence to demonstrate that Boston College may have unfairly violated its policies in two ways: First, an administrator interfered with the disciplinary panel’s deliberations by telling the head of the panel, who indicated that the panel might choose to enter “no finding” (a result which would not have resulted in any discipline) rather than finding Doe “responsible” or “not responsible,” that the Dean of Student discouraged panels from choosing “no finding” results. The school’s policy guaranteed that a panel would deliberate “in private,” yet an administrator seemed to have influenced the outcome in a way that was deeply unfavorable to Doe. Second, a different administrator had encouraged the panel to give favorable treatment to J.K. (the other suspect) when he testified, including assuring him that he was not a suspect, and attempting to “put him at ease.” The school’s policy guaranteed a fair hearing, and the Court held that such “special treatment” of the “prime alternative culprit” may have violated that promise. Future cases may not present these exact facts, but many schools policies will contain a similar promise of fairness. Thus, according to the First Circuit, a school will breach that contractual promise when it deviates from normal procedures or puts a thumb on the scale of a panel’s deliberations, as B.C. did in this case. Second, the court held that Doe had presented sufficient evidence to establish that the school breached its duty of good faith and fair dealing. The Court explained that it “agree[d]” that the “implied covenant of good faith and fair dealings . . . applied in the context of school disciplinary proceedings,” and “creates an independent duty to provide basic fairness” to students. That is also good news for students; it means students can challenge unfair proceedings even if there is no explicit promise from a school of a “fair” process. But the Doe Court also left much about these types of claims unanswered. It declined to explain more about what basic fairness guarantees mean more broadly. That means that lower federal court decisions remain intact for the time being, including Doe v Brandeis, which we have written about before. Third and finally, the Court did not address important questions about Title IX law, which thus remain open in the First Circuit. It held that Doe had not presented sufficient evidence to establish either that he was the victim of gender bias, or that the University acted with deliberate indifference to his claims because of his gender. But the Court’s holding rested on the particular facts of Doe’s case, and it did not make any broad or novel holdings regarding those claims or Title IX. Among the issues left unanswered is whether the First Circuit will follow the Second Circuit’s recent holding, establishing a lower pleading standard that makes it easier for claims alleging gender discrimination under Title IX to survive a motion to dismiss. Those questions of law will remain for another day. If you have been accused of misconduct by your school or believe you may have a legal case against your school, you can contact our lawyers at (617) 742-6020.